GM206 is the new mid-range GPU die which powers Nvidia’s new GTX 960 graphics card which is about to launch worldwide in less than two days. A recent leak by videocardz indicates that a full GM206 GPU die only houses a maximum of 1024 CUDA cores as shown in the leaked GM206 block diagram below. This makes it an unsuitable candidate for a potential GTX 960 Ti graphics card. [UPDATE : 22/1/2015] Confirmed, GM206 has a maximum configuration of 1024 CUDA cores, making the GTX 960 the most powerful possible GM206 based card. This leak tells us that Nvidia has already used the highest performing variant of GM206 in the GTX 960 rather than a cut-down / harvested GPU die. In turn this leaves no room to introduce a GTX 960 Ti based on the same GM206 GPU if the above diagram is to be believed. All of this points to Nvidia using a further cut-down version of the venerable GM204 GPU to fill the huge price gap between the GTX 970 and GTX 960. Official GPU block diagrams by Nvidia have always featured fully unlocked GPU dies. 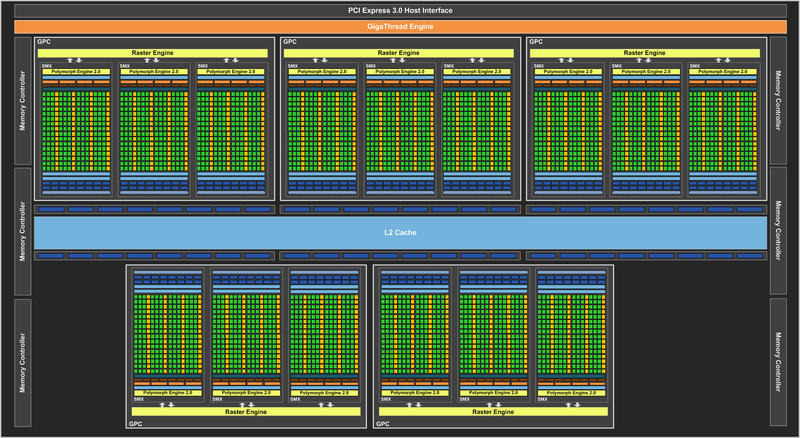 Reviewers use these GPU diagrams but with a few shader units visibly removed to illustrate a cut down GPU. For example the GK110 diagram was used for illustrative purposes for both the GTX 780 Ti which is based on a fully untapered GK110 and the GTX 780 which used a harvested GK110 chip. So if the above GPU diagram is the real deal, then the GTX 960 is going to be the best performing GM206 based SKU. We had already told you three weeks ago about two potentially new cards that were leaked. Which will be positioned above the GTX 960 and below the GTX 970. 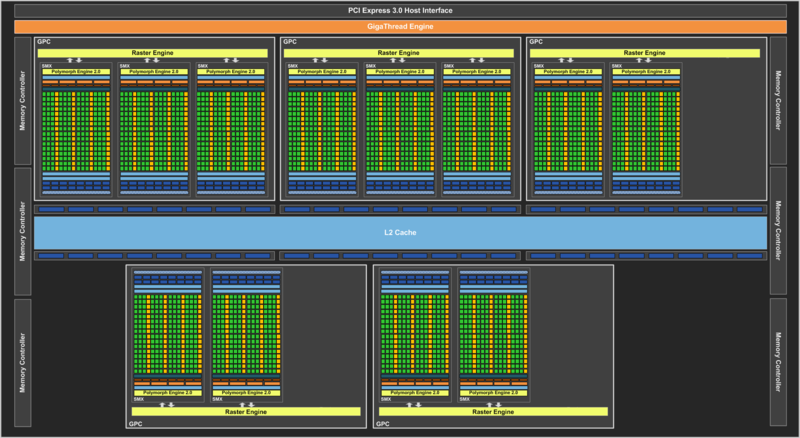 One with 1280 CUDA cores and another with 1536 CUDA cores. We had also predicted that at least one of these cards will be based on GM204. Especially since a listing of a GTX 960 card with a 256bit memory bus was spotted on Zauba completely excluding the 128bit GM206. And here’s what such a GM204 based GTX 960 Ti would look like. Now I have to point out one small detail which is very interesting. 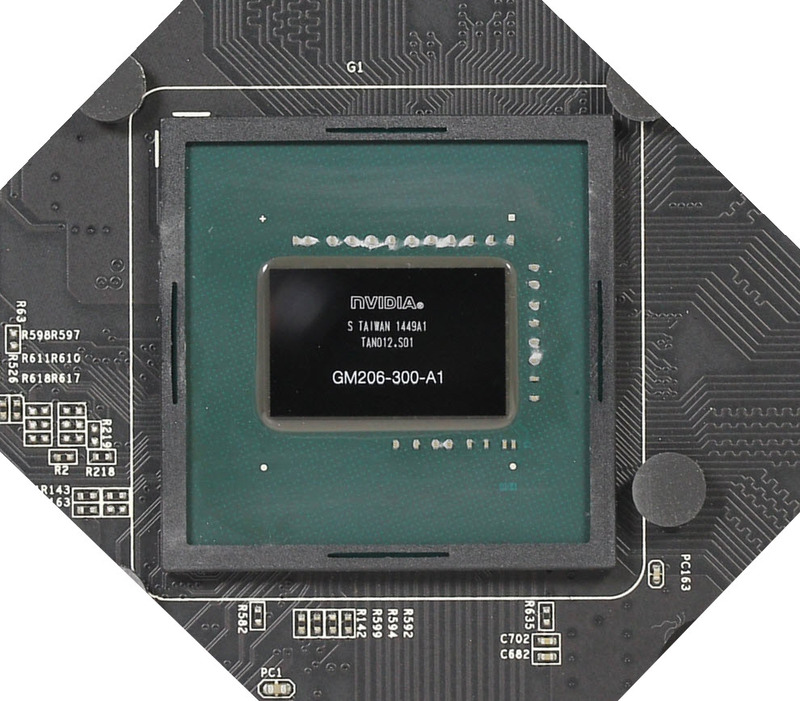 The GPU die on GTX 960 boards was pictured carrying the following code name : GM206-300-A1. The 300 suffix was printed before on cut down Kepler GPU dies, while the fully unlocked chips carried a 400 suffix. Nvidia used a 200 suffix to the same effect for the GTX 970. So the 300 suffix could mean something different for Maxwell GPUs but it’s still worth pointing out. 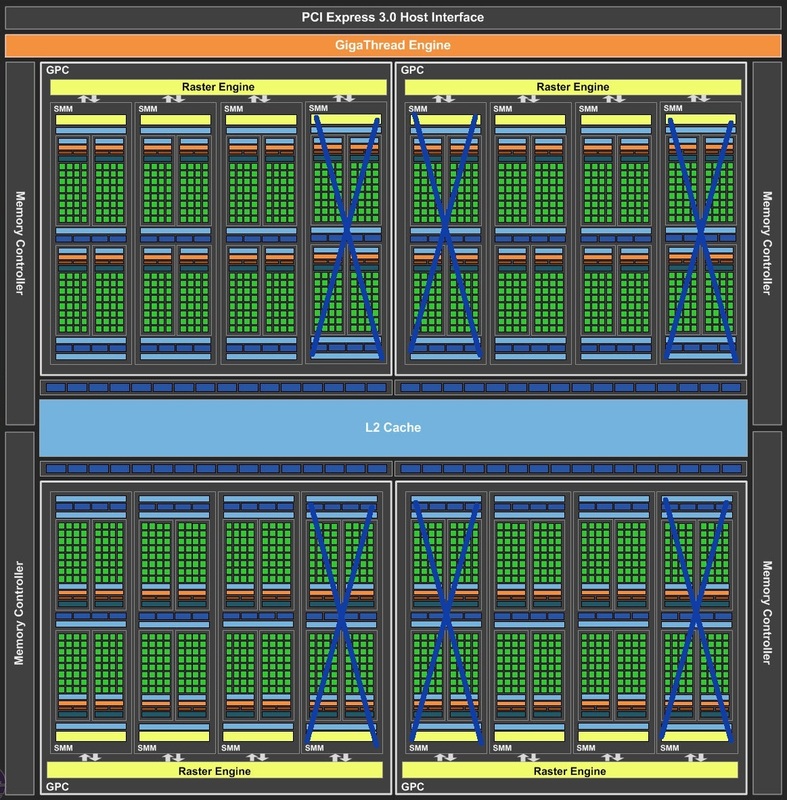 So we can’t rule out the possibility of GM206 containing more than 8 SMMs or 1024 CUDA cores, even though the diagram provided by Nvidia clearly tells us that it does. We know for sure that Nvidia has at least one new mid-range card coming to market to fill the $130+ gap between the GTX 970 and GTX 960. Once the NDA lifts on the 22nd we can tell you with certainty if it’s going to be another GM204 entrant or one that makes use of its younger sibling.